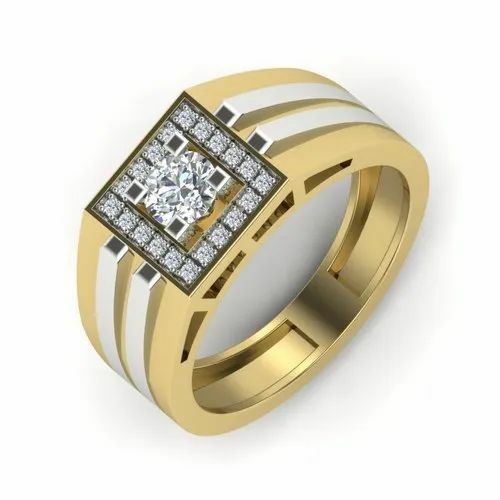 18K Yellow Ring For Men, It is Set In Real Natural Diamond. Packaging Details Temper proof/ Insured and secured packaging according to jewellery industry standards. Established in the year 2015, we “Jewelsmart Ventures Private Limited” are a leading Manufacturer of a wide range of Diamond Rings, Diamond And Gemstones Rings, CVD Diamond, etc. Situated in Surat (Gujarat, India), we have constructed a wide and well functional infrastructural unit that plays an important role in the growth of our company. We offer these products at reasonable rates and deliver these within the promised time-frame. Under the headship of our mentor “Mr. Veeral Luvani”, we have gained a huge clientele across the nation.